Bill Foley is not Jim Balsillie, and the prospective owner of a Las Vegas expansion franchise isn't following the same path that got the former BlackBerry mogul blacklisted by the NHL. Several years ago Balsillie tried (and failed) to move the Nashville Predators to Hamilton and even went so far as to list season tickets for sale against the league's wishes. When he wanted to buy the Phoenix Coyotes, the NHL preferred bankruptcy to his ownership and went to court to keep him out. Foley doesn't have a long history with the NHL, but his efforts to deliver hockey to Las Vegas have been in lock step with what commissioner Gary Bettman wants. So far, the millionaire businessman has asked for and received permission to run a season-ticket drive and isn't pressuring for anything more. "I'm an ex-Army guy. I follow orders," Foley said in a phone interview over the weekend from his home in Northern California. "We've been very careful in our meetings with the NHL administrative staff, just trying to make sure that we do things in the proper fashion. We're not pushy, we're not demanding." Foley is trying to go about this the right way as the league and owners have many questions about the unique nature of the tourism-heavy Las Vegas market. But don't mistake that for the 70-year-old believing the city can't handle a pro team. To the contrary: Foley is in this to win it because he sees the growing business community in Las Vegas and its employees as the perfect audience for the NHL. "Nevada and Las Vegas in particular are no longer what they were 50 years ago or 40 years ago: a gambling city, kind of a weigh station in the desert," Foley said. "A number of software companies, development companies have located in Las Vegas. ... Those companies and those people who work for those companies, that's our target. Those are the people that we want to have come to these games." A schedule of NHL games in Las Vegas is at least 22 months and many steps away, including the completion of an arena being built by AEG and MGM on the strip and eventual approval by the board of governors. The arena is a question of when, but league approval requires a two-thirds vote and is not a sure thing. The first step is a season-ticket drive that is expected to measure the level of interest Las Vegas locals have in supporting a professional hockey team. The league is eager to see the results. "I think what the ownership group is looking for, and ultimately what I think what would be important to the board, is that local people in Las Vegas are going to support this franchise, not just the local businesses," deputy commissioner Bill Daly said last week in Boca Raton, Fla. "Because I'm not sure it's the same thing." It won't get going in earnest until early 2015, but Foley said as of Saturday and through only two days of the initial website launching that 1,500 people had already given their name, phone number and email address to express interest in buying season tickets. That's without any advertising beyond Bettman announcing Foley had been given the go-ahead to launch the ticket drive and the ensuing buzz and publicity from it. 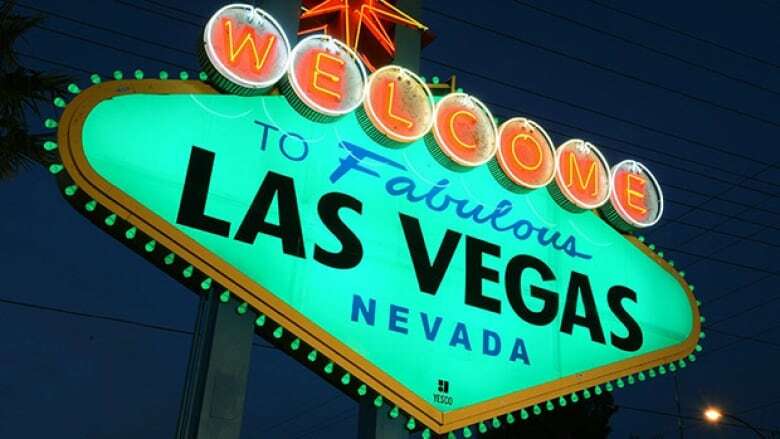 In hockey circles the idea of going to Las Vegas is glamorous, and locally the notion of finally attracting a team in one of North America's major four sports leagues is enticing. Being the first of those leagues to break into Las Vegas is also intriguing. "If the theory is that a market can support a professional sports franchise, by being first you know when there's only so many dollars in a market, you're getting those dollars committed to you as opposed to having to compete with somebody else for those dollars," Daly said. To bring the NHL to Las Vegas, Foley could partner with the Las Vegas-based Maloof family, which previously owned the NBA's Sacramento Kings. Though he lives part-time in California and White Fish, Mont., and has business ventures in Jacksonville, Fla., Foley and his associates seem to grasp the intricacies of the Las Vegas market. With that in mind, Foley said the upcoming ticket drive is expected to include some seats in half-season and quarter-season shares "just to make sure that we hit the demographics properly in Las Vegas." Like True North in Winnipeg did after it was awarded the Atlanta Thrashers, Foley said his group would offer NHL-average ticket prices ranging from around $40 US to $120 US with the mid-point being somewhere around $62 to $65. "Winnipeg is different on a host of fronts because they were really selling tickets and they already had a real season-ticket base," Daly said. Suites, including so-called "bunker" ones available along the glass, are expected to sell out extremely quickly, Foley said. The goal of the season-ticket drive is to show there's a base of fans to fill the rest of the seats. "We feel like if we can demonstrate the strong local support for a team, that will go a long ways toward convincing the NHL or persuading the NHL that hockey's viable in Las Vegas," Foley said. "Our mission is simply that. It doesn't really go beyond that. We're trying to rally the Las Vegas community behind this concept." The arena, a 20,000-seat state-of-the-art facility, is scheduled to open in spring of 2016. "It'll be as good as it gets in terms of hockey visibility," Foley said. "The arena is being designed around not just concerts and fights and so on. It's being designed around hockey." That's a big plus, especially considering one of the other front-runners for expansion, Seattle, doesn't have an arena that could house an NHL team. Even Barclays Center in Brooklyn, where the New York Islanders are moving next season, has an awkward setup for hockey, including the overhead scoreboard hanging over one blue-line. Quebec City has the sparkling Quebecor Arena set to open this fall, but Bettman has urged Nordiques fans and others not to assume that building is a guarantee of getting an NHL team. It doesn't hurt, but Quebec appears to be behind Las Vegas, at least right now, in the pecking order. Foley isn't apologizing for being at the front of the line. "We're just focused on Las Vegas," he said. "I can't help anybody else or worry about anybody else."